Education for Kenyan Children | The O.R.K. Have you ever been touched by an orphan? Have you ever been in a slum where all semblance of humanity is all but gone? Have you seen the devastation of AIDS on the most innocent of human beings? Well 16 us Aussies went to Kenya, Tanzania and South Africa in August 2007 and we witnessed all of the above. We went to climb Africa’s highest mountain and to climb for 22 million reasons. That is the number of orphans now trying to survive in Sub-saharan Africa. We visited the Mathare slums in Nairobi a place I remembered as a young man as the vegetable gardens of Nairobi City; it has become the “home” to 600,000 Kenyans with NO running water, NO toilets and NO hope. There are thousands of children here of which many are orphans. It is here that we will “build” the first O.R.K.s. here Rotary will reach out to rescue the orphans of Mathare. 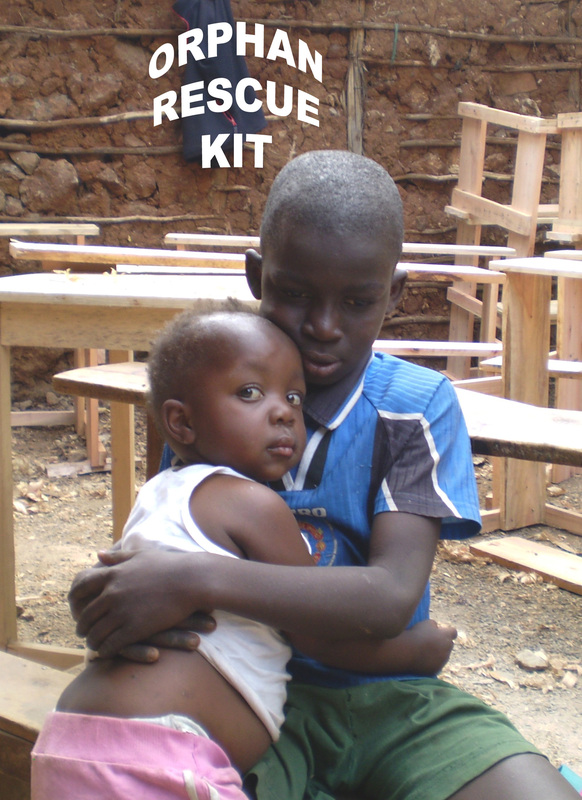 Hence the Orphan Rescue Kit. The O.R.K. 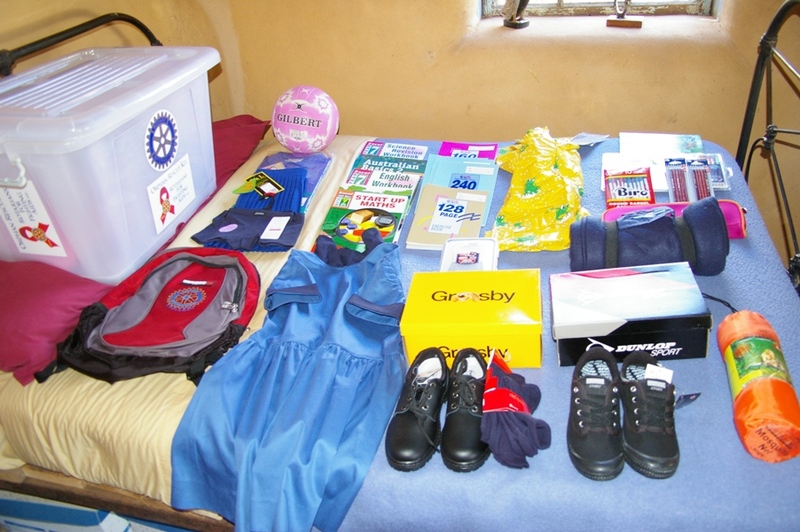 is made up of the basic items that a child needs to survive and get ahead in life. The O.R.K. that you buy will be made up in the country where it is needed as in the case of Nairobi the materials will be sourced locally thus giving the people there a way to make a living from creating these Orphan Rescue Kits. So not only will you be saving an orphan you will be creating employment where it is needed most. The photograph below shows what appalling conditions these children at risk live in. In effect the playground is a rubbish tip. Contact us to see how to sponsor our climbers to build an O.R.K. for your club, organisation, company or social group. We are asking for your donations no matter how small or how big and the following list of items that go into educating a child from the slums of Mathare are just a guide for you to see what is needed. This is for secondary school students who live at home and go to school. However it is far better that these secondary school students attend a boarding school where they can study in peace. On top of these fees boarding school will cost around another $520 per annum. Making a total of $1,040 OR TWO ORKs. The list below is only a guide of what makes up the cost to educate a child in Kenya today. The fees vary from school to school. Malaria is the leading cause of mortality and morbidity in Kenya, particularly among pregnant women and children under 5. Studies suggest that between 20 – 25% of deaths can be attributed to malaria. Up to 28,000,000 Kenyans are at risk at any one time. Mosquito nets help keep them away, greatly reducing the cases of malaria. These nets offer greater than 70% protection compared with no net. Rainfall occurs seasonally throughout most of Kenya. The coast, eastern plateaus, and Lake Basin experience two rainy seasons: the long rains extends roughly from March to June, and the short rains lasts from approximately October to December. Most of the children of Kenya have to walk to school. NO school buses here some travel miles to get to school. So a rain coat is essential especially in the wet seasons. Most of the governments in the countries we are rescuing orphans do not provide any materials for education as they cannot afford them. So it is up the individual pupil to supply their own writing materials. Even though we are in Africa night time temperatures in cities like Johannesburg drop to well below freezing and a blanket is essential to keep the child warm and cosy. One of the best investments you can make to help rescue orphans is to provide them with shoes. Most African children have no means to get shoes and the shoes form part of their school uniform. Without a uniform they are prevented from entering school. ALL African children are sports mad. The boys love football and all dream of playing for Manchester United or Liverpool. The girls love netball and basketball. There are many girls playing football as well these days in Africa. That is the rule in most African nations today. So without a doubt the first item to invest in would be the uniform.There have also been a lot of problems with preferred school uniform suppliers making it even harder for orphans to get a uniform. The essential item for a child going to school, somewhere to put all their books and writing materials.Also a place to put the lunch box which is item # 12 in the O.R.K. We have shown typical Australian text books.However the same applies to Africa.Probably the single most expensive item for a child going to school in Africa today is the text books.With the back pack item # 8 the orphan going to school has a chance of protecting their books from theft. As with text books the exercise books are essential for a successful stay at school.They will require 12 exercise books per term and it is an onerous obligation on behalf of an orphan to find the money to buy exercise books. Life is tough for an orphan in Africa. Now that you have provided one orphan with the essential tools for an education all that remains is to give them one good meal every day. Without food in the stomach they go to school hungry and their learning skills are impaired.It may be the only meal they get every day. TOTAL US $520 FOR ONE ORPHAN RESCUE KIT. For a $520 donation, Rotarians and non-Rotarians can support one at risk and vulnerable child in African communities where Rotarians on the ground will supply nutrition and school supplies, uniforms, and fees to keep that one child in day school for 12 months. It is estimated that there will be 25,000,000 orphans living in Africa by 2015. For an additional $520 that child can attend a boarding school where they are more likely to succeed away from the conditions at home in Mathare or Huruma.